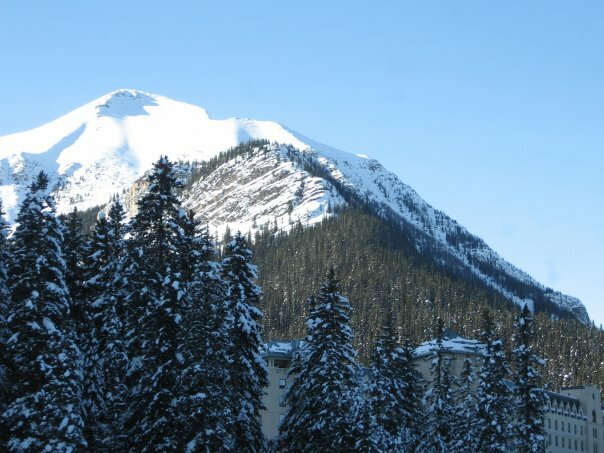 I introduced you to Lake Louise (the ski resort) in one of my earlier posts this month...A very happy place for me indeed! Now, onto Part 2 of my time there....at the Chateau! The drive up to the resort was stunning...the sun was shining, the snow covered mountains, trees with branches laden with fluffy white snow....Winter at its best! 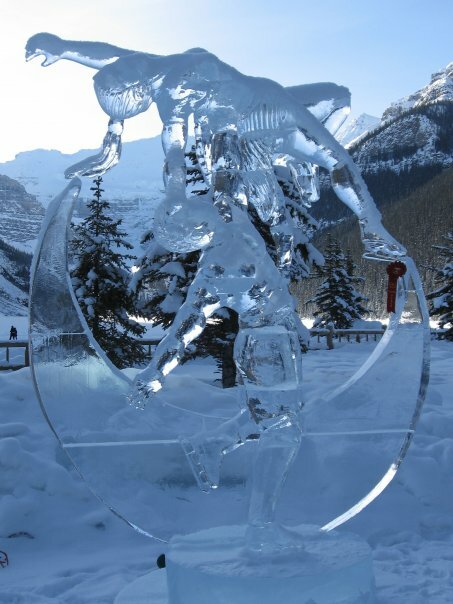 We arrived to the quintessential Lake view......I could have stood there for hours, taking it all in and just enjoying 'being'..
We walked around and had a chance to see the beautiful ice sculptures that had been done for the "Ice Magic Festival" and in honour of the upcoming 2010 Vancouver Olympics. We then went inside, found a table with a view in the bar/lounge, and said 'cheers' to an amazing day! It was the kind of day that I didn't want to end...ever...but, as they say, all good things must come to an end. 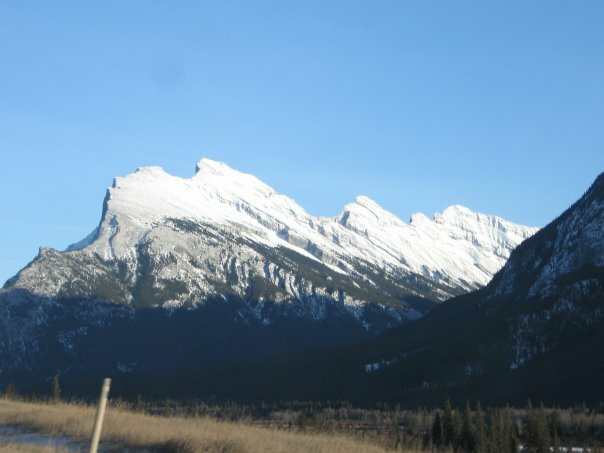 It was time to get on the road and wind our way through mountain ranges back to Calgary. My trips out West always bring a kind of happiness and level of contentment that cannot be put into words..... I hope that you are able to travel,visit or even live in a place that allows you to experience these indescribable feelings too....We all deserve that level of bliss!